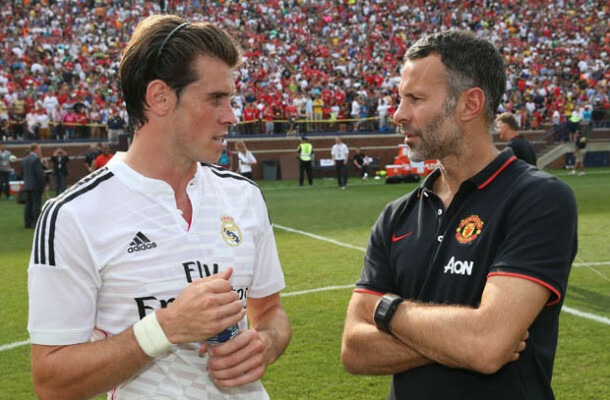 Home / Football / Welsh Football Show: Bale? Or Giggs? A brand new show dedicated to Welsh football from Chris Coleman’s Euro heroes to the Welsh Premier League. On the show, Cardiff & Swansea City reporter Steve Tucker, Bala Town press officer Hannah Jones, TNS Radio commentator Stewart Bloor and Welsh Premier League Secretary Gwyn Derfel join Mr. Davies. And the debate this week is which footballer would you pick for the Wales National team? Gareth Bale? Or Ryan Giggs?